The trees are changing colors and Halloween will be here before we know it! 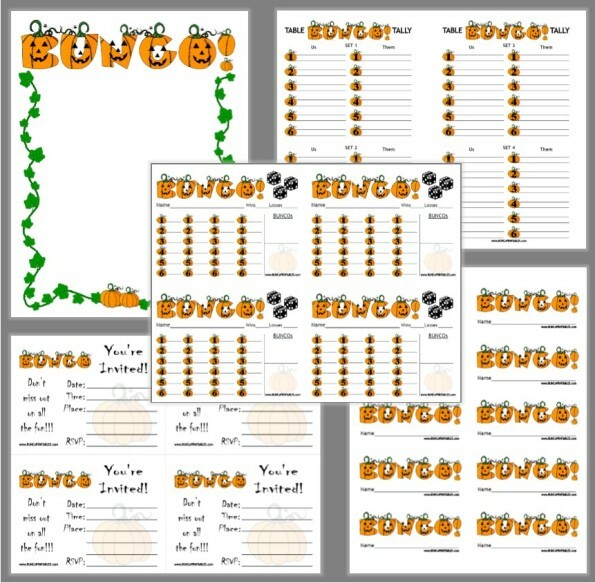 My Bunco group and I are gearing up for our Autumn/Halloween themed Bunco Night! We like to use a different theme for each table (Haunted Halloween, Jack-O-Lantern, Vampires Bite, or Autumn Leaves are a few fun autumn themes). When hosting an Autumn/Halloween themed Bunco Night consider your theme and add decorations, themed serving dishes and themed food & drinks. 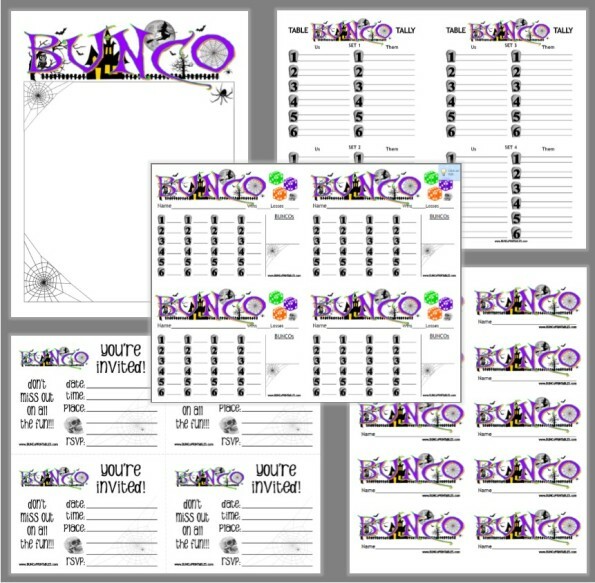 One of the many great things about Bunco Night is that it can be as elaborate or as simple as your Bunco group chooses. 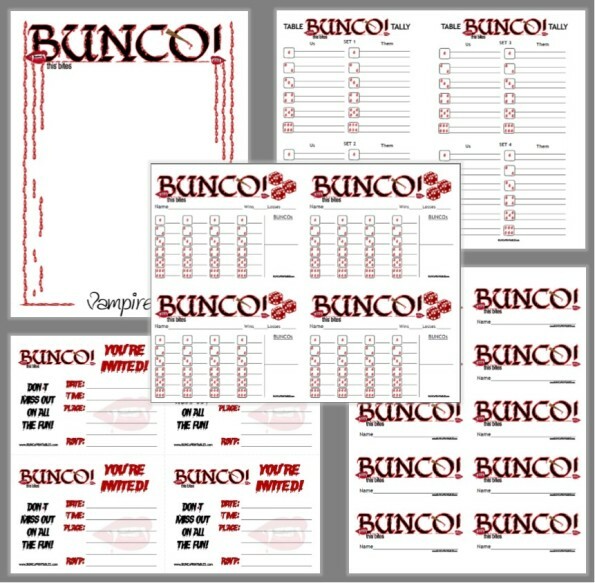 Here are a few decorating ideas for a fun Halloween Bunco Bash! I’m including a recipe for my Aunt’s Pumpkin Bars. This recipe ‘screams’ autumn…and is sooooooo yummy!!! I hope you enjoy it as much as we always do! Preheat oven to 350°F. Grease a jellyroll pan, set aside. In a large bowl blend pumpkin, oil, and eggs. Add remaining ingredients and blend at low speed until moistened. Beat 2 minutes at medium speed. Pour into greased jellyroll pan. Bake for 25-30 minutes or until toothpick comes out clean. Cool completely before frosting. In a small bowl blend butter and cream cheese. Add remaining ingredients beat until smooth. Spread onto cooled bars. Refrigerate until serving. ENJOY!